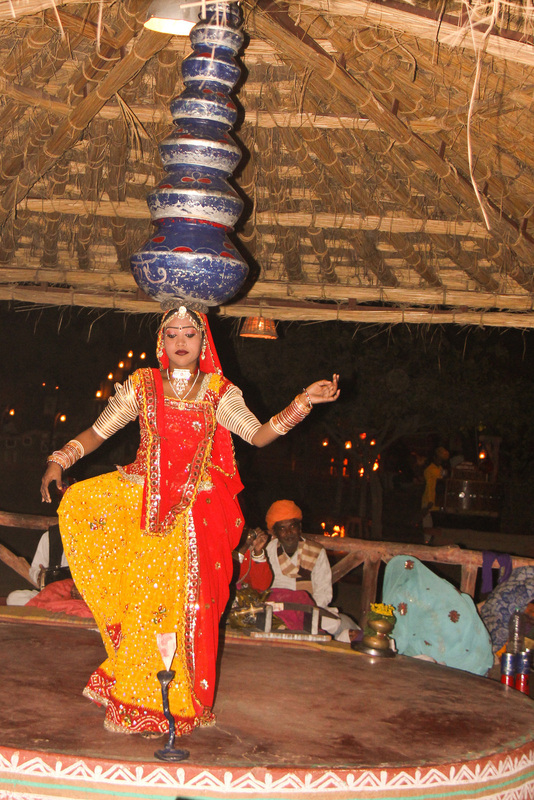 ​Chokhi Dhani is a Rajasthani festival every day, played out in the perfect mud hut village setting, complete with camel rides and buffalo carts, and a fine dining restaurant. So ask yourself if you want to ride an elephant or sit in a bullock cart on a winding village mud track, or experience authentic Rajasthani hospitality and the tasty cuisine? 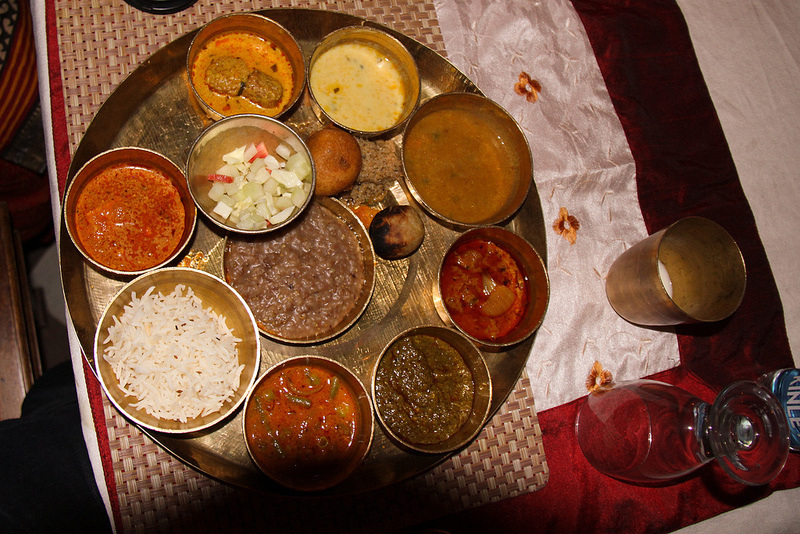 Chokhi Dhani is the place for you. Literally translated from Marwadi (a dialect of Rajasthani) Chokhi means good and Dhani means village. Designed and created to preserve Rajasthani arts and traditions, this not so tiny mud hamlet will take you into another world. 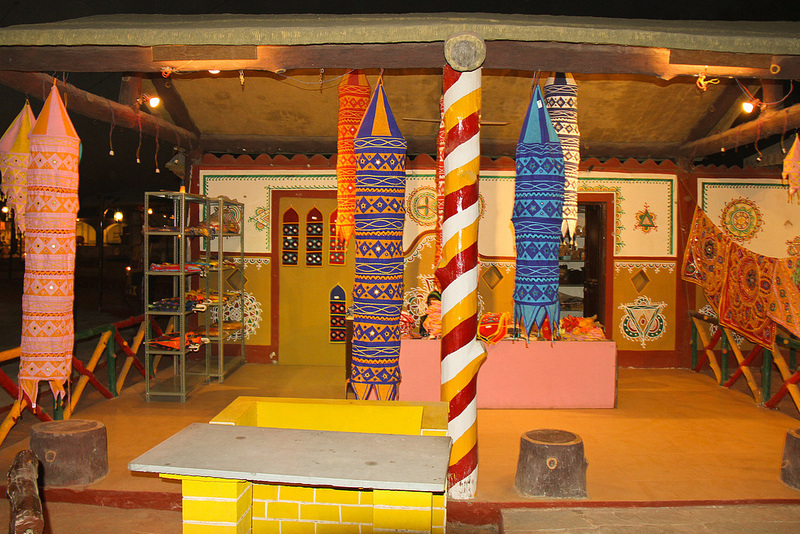 ​Much like modern entertainment parks, Chokhi Dhani is a unique entertainment village. It is an open park floored to every inch with baked mud coating, just like Rajasthani villages of old. Starting from the ticketing counter, all hutments are coated with baked earth also, a natural scientific technique, designed to stay cool in summers, and insulated for the winters. 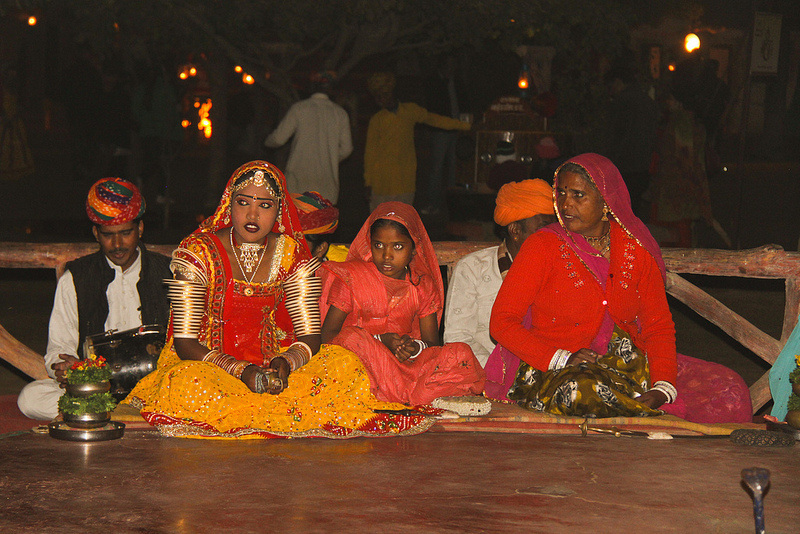 Chokhi Dhani houses various rides like camel back safari and bullock carting, to shows such as puppet shows, tribal dance performances of Rajasthani dance forms such as Kalbelia, with women carrying pots and dancing on broken glass, and tight rope walking. ​In an attempt to preserve the superior crafts and arts of Rajasthani many of which are nearing extinction due to elaborate manual labour required to create them, Kala Gram has been created. Arts like Bagru Printing (hand block printing using wooden hand crafted stamp), Mojri (traditional hand sewn & embroidered camel leather shoe) and the elaborate Barmeri Weave making traditional cloth, worn by royalty in olden days, takes about a month to create a single dress. ​There was a time when every person in the kingdom, kings and commoners alike sat on carpets and cushions on mud floors and ate elaborate five course meals with cooked in stone and earth ovens. At Chokhi Dhani, they still do this. For those who prefer tables and chairs, a multi cuisine restaurant is just a few steps away. Be transported back to a golden era, in the hamlet of Chokhi Dhani.